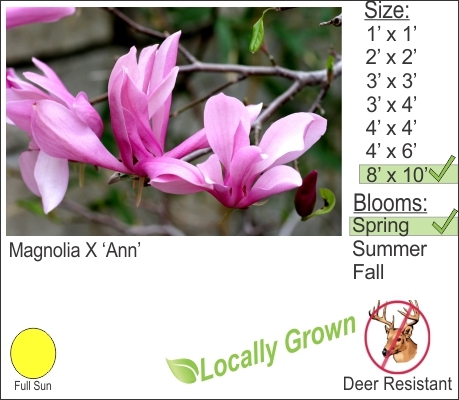 Ann Magnolia flowers early in the spring with big beautiful pink flowers. As the snow melts you will notice big fuzzy flower buds about to burst. This plant is great for ushering in spring. I like to plant this larger growing shrub surrounded with spring flowering bulbs around the base. You can create a focal point on your property for a spring time flower show.